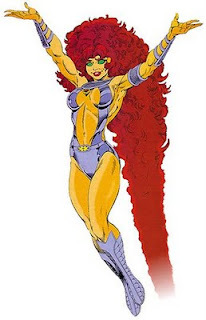 Okay I admit it: I think Storm would wipe the sky with Starfire. Why? 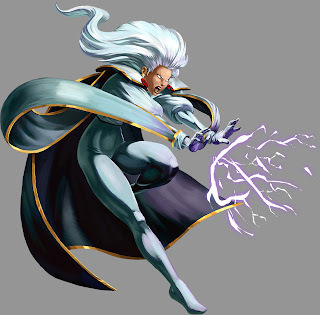 Storm can wield the full power of the earth's climate: lightning, wind, rain, snow, and hail would be able to put Starfire down - if used appropriately and Storm is very good at what she does combined with her fighting skills.